After hearing about and seeing so many members of the BrewTubing (YouTube Homebrewing) community taking advantage of the great variety hops sold by yakimavalleyhops.com and using some of them in my own beers. I contacted Jeff, founder and co-owner of both the website and Yakima Valley Hop Shop and Brew Supply based out of Yakima, Washington and asked him if he’d be willing to film an interview over Skype. He responded with an enthusiastic Yes! and we set a time to film the interview. I had fun filming it with him and I hope you enjoy watching the final product all the same. Cheers! 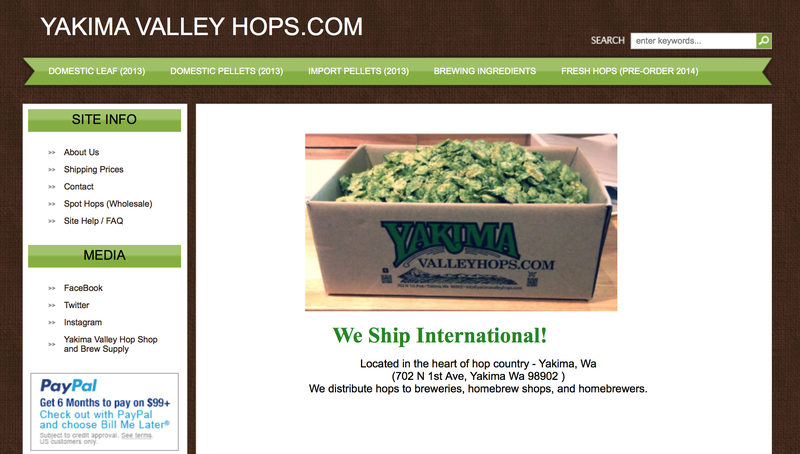 The history of YakimaValleyHops.com and Yakima Valley Hop Shop and Brew Supply. This entry was posted in Craft Beer Advocacy, Homebrewing and tagged Fresh Hop Ale Festival, fresh hops, hop trends, importing hops, NZ hops, SJ Porr Challenge 2014, yakima valley hops, yakimavalleyhops.com. Bookmark the permalink.